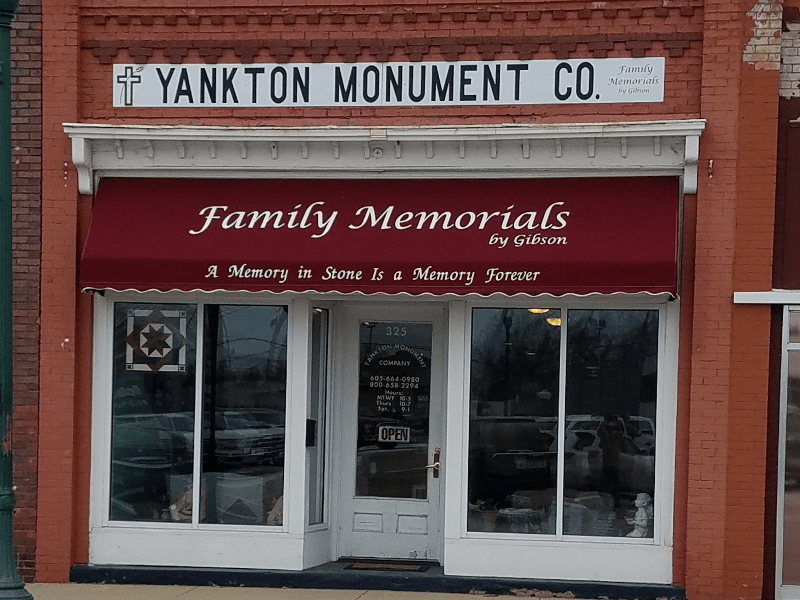 Chuck Gibson always had a dream of owning his own business that had a level of customer focus, quality craftsmanship, and family values unmatched in Eastern South Dakota. Chuck’s stepfather and mentor, Forest Schumacher, was an experienced stone carver. 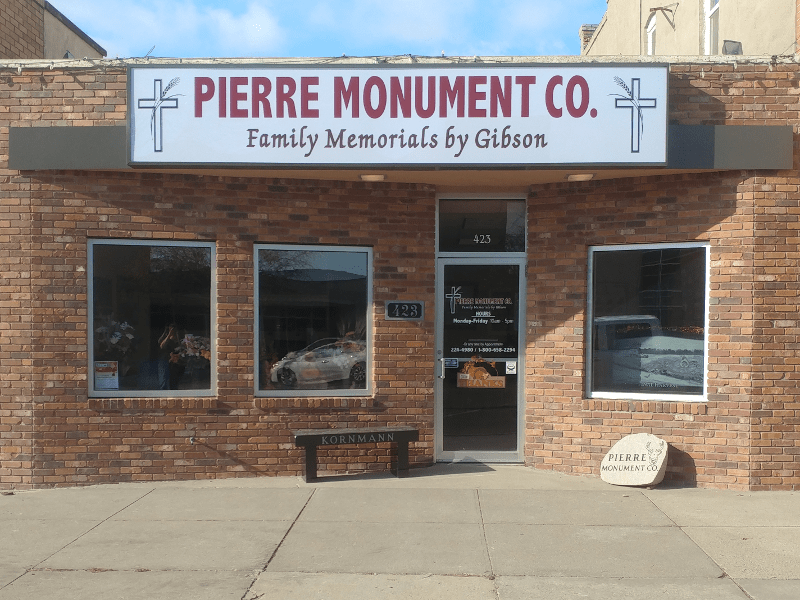 Given this, it only made sense that, in 1982, Chuck, together with his son Scott (who also had years of experience in the field), and the unwavering support of their wives, Betty and Mary, he made this dream a reality and founded Family Memorials by Gibson in Sioux Falls, South Dakota. While the husbands had the necessary skills and craftsmanship to create stunningly beautiful monuments, it was the knowledge and experience of the wives that allowed the business to become truly family-oriented. This focus on family has only increased as time has gone on as Scott and Mary’s three children, Tony, Maria, and Mike, now have prominent roles within the company. It is also not uncommon to see the next generation “practicing” their customer service skills in the office after school as they wait for daddy to be finished working in the shop. Chuck has since passed away, and Betty no longer plays an active role in day-to-day operations, but she still pokes her head in from time to time to make sure we’re all behaving. Scott continues to oversee our production facilities and Mary continues to manage our sales offices, but they are slowly handing over the reins to the third generation. Their oldest son Tony has become the sales manager and continues to work alongside his mother in our Sioux Falls office. Their daughter Maria has become our lead designer and is in charge of the art department. Their youngest son Mike has been working alongside his father in the shop for years learning the ropes. When, and if, Scott and Mary ever decide to retire, we’ll still be in good hands! 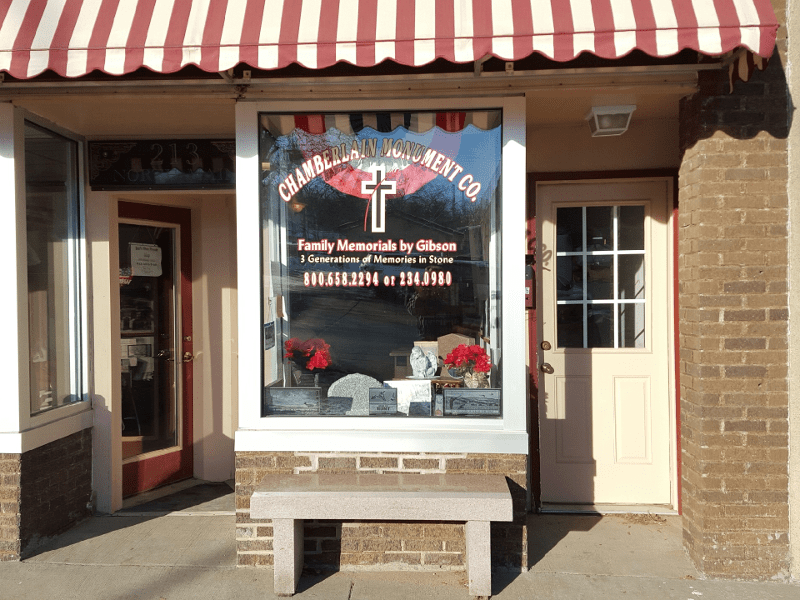 In addition to “blood” family, we have incorporated over 30 other employees into the Family Memorials family! 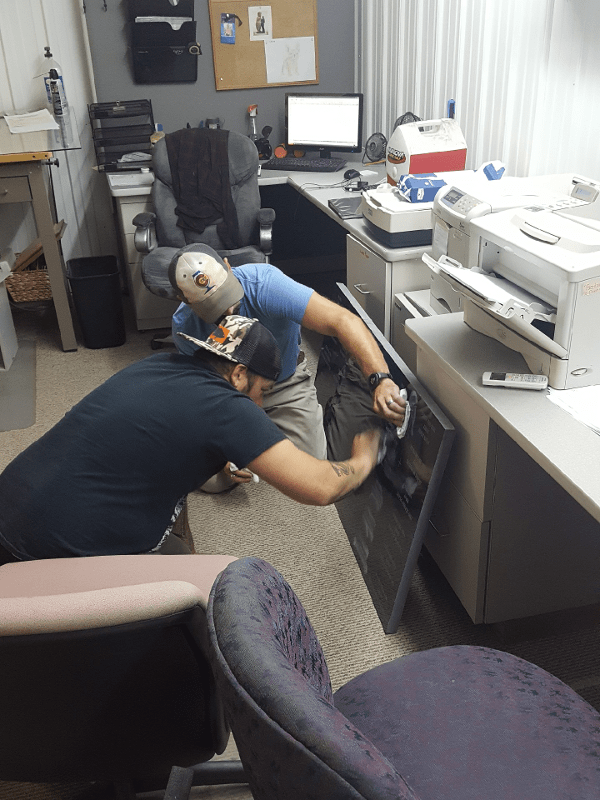 While our home office and manufacturing shop are still in the Sioux Falls area, we have expanded to include sales offices and showrooms in five other communities throughout South Dakota: Watertown, Rapid City, Yankton, Pierre, and Chamberlain. We also have representatives and wholesalers based in Aberdeen, Beresford, and Martin in South Dakota, Luverne in Minnesota, Iowa, Nebraska, and Wyoming. Despite our growth over the last few decades, we strive to keep the small business values and personal approach to customer service that were so important to Chuck and Betty and have allowed us to grow into the respected company we are. Every family that walks through any of our doors can expect to be counseled one-on-one by a knowledgeable member of our staff. We encourage families to express themselves or their loved ones by creating a highly personalized memorial stone. It’s our goal to help them capture their loved one’s spirit and tell their story in stone. 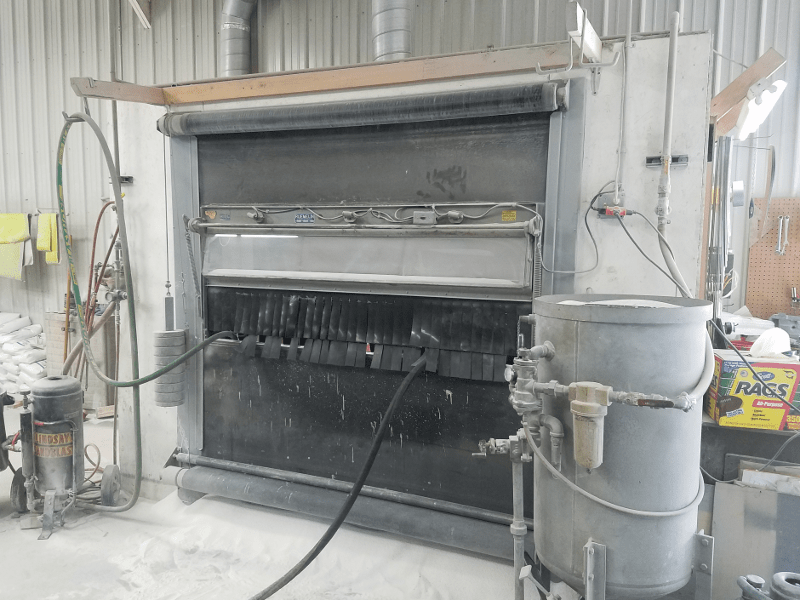 We continue to manufacture all of our stones at our production facility just north of Sioux Falls in Crooks, SD. 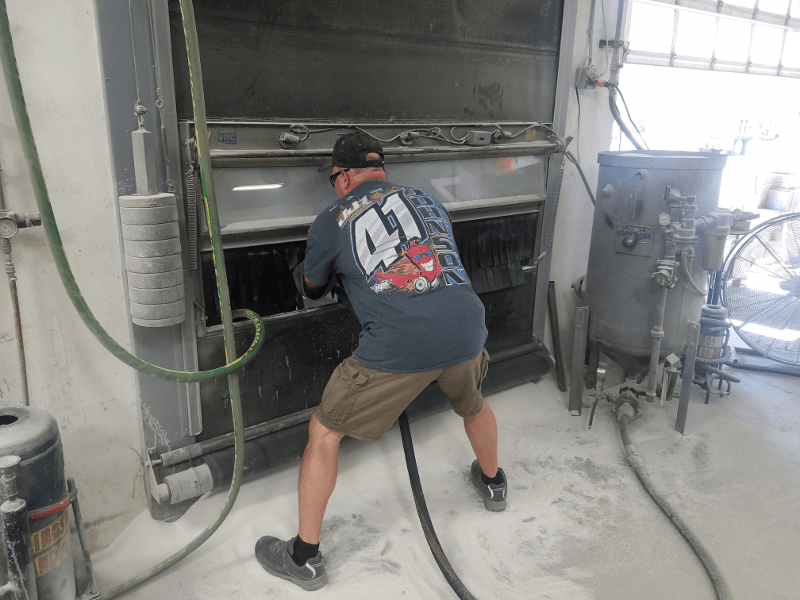 Each stone we produce is touched by hand and personally created right here in the Sioux Empire area, allowing us to provide highly customized designs and specialty products to our customers. This also means we are a completely local company and every dollar we make is supporting our employees and their families right here in our own South Dakota communities. 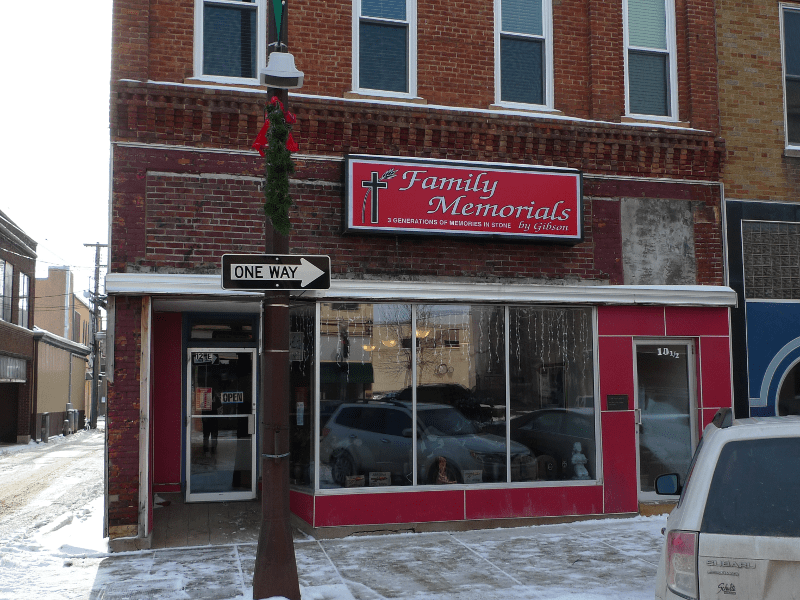 Many other monument companies in the region has been bought out by large national corporations and outsources their manufacturing out of state and country. 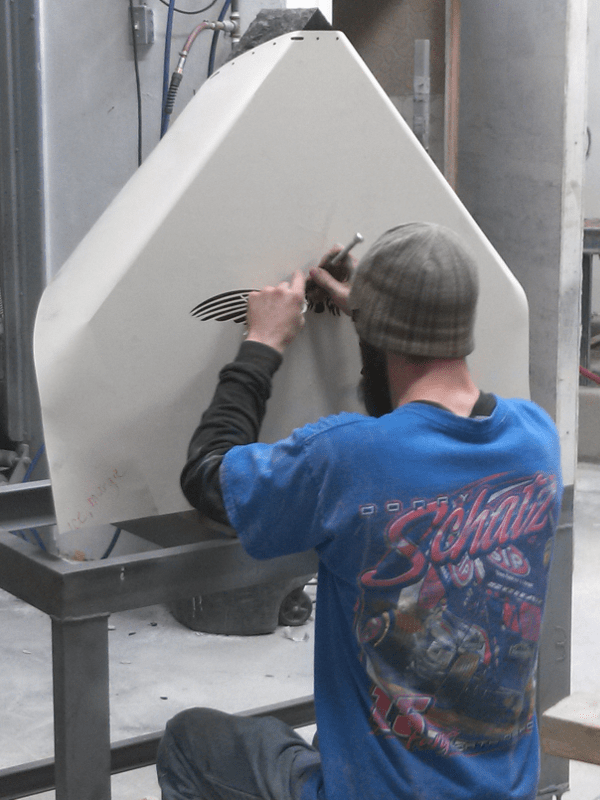 Our ability to incorporate multiple stone carving techniques (sand-blasting, shape-carving, laser-etching, and more) under one roof allows us to create incredibly detailed, customized, and beautiful monuments. 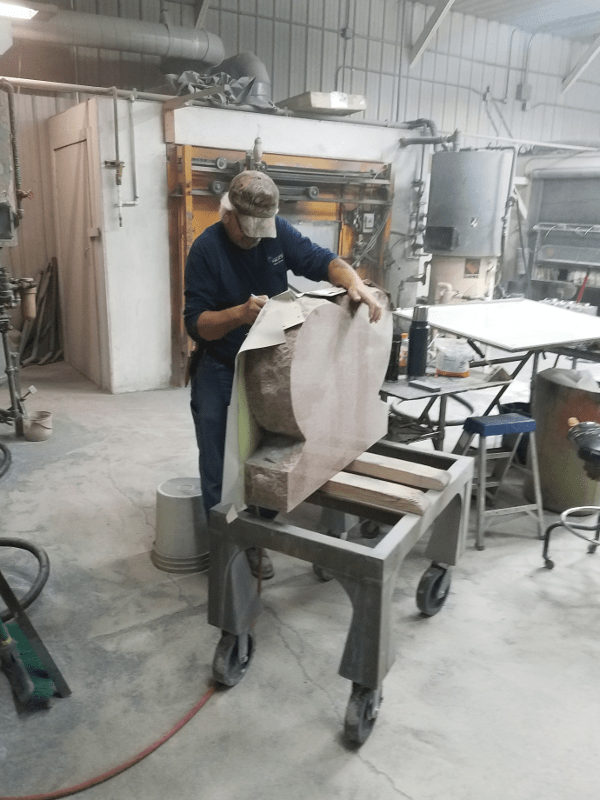 Between Scott and Mike Gibson, our shop foreman, Chuck Hanisch, his nephew Travis, and several other highly-skilled craftsmen, we have over 110 years of stone-working and carving experience in our shop on a day-to-day basis. Stone-working requires years of apprenticeship to become proficient, so our stone-workers are highly valued by us as a company! Our art department, run by Maria Clarke (Gibson), works diligently to translate the visions and ideas of our customers, the stories of their loved ones, and the technical requirements of lettering stones into beautiful designs. If we don’t get the design right on the first try, we’ll work with our customers to make the desired changes until we do! 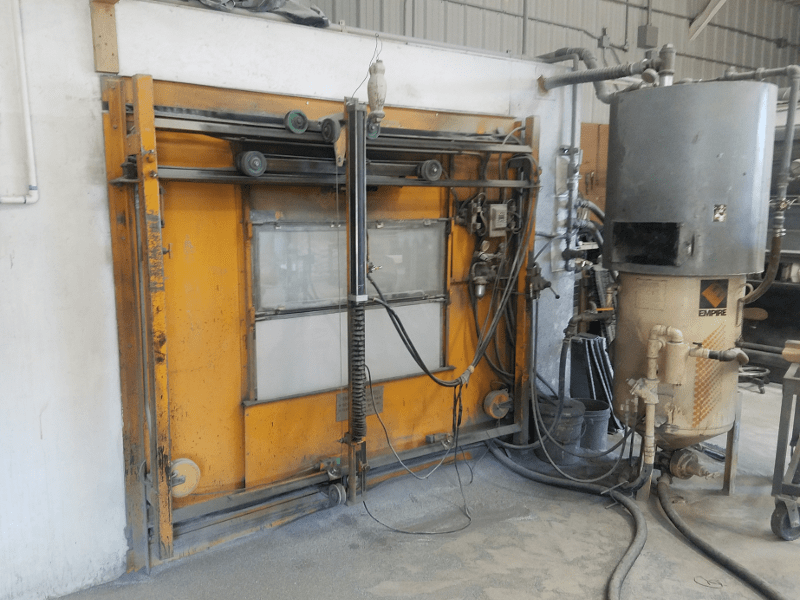 Our art department provides a full, hand-colored design proof to every customer for them to approve before we will begin working on their stone. The granite we use comes from, literally, all over the world. Many customers love to choose granite from local quarries in Milbank, South Dakota, but we also import granite from countries on nearly every continent: South Africa and Zimbabwe in Africa, India and China in Asia, Norway in Europe, Brazil in South Africa, and many quarries right here in the United States and Canada! Each quarry provides a slightly different color and tone of granite, from pink hues, to green, red, black, and blue. Many customers like to complement their granite monuments with other personalizations such as marble statues and carvings, bronzed personal items (bronzed cowboy boots are very common), laser-etchings, metal and/or granite flower vases or urns, crosses, and photos of loved ones. 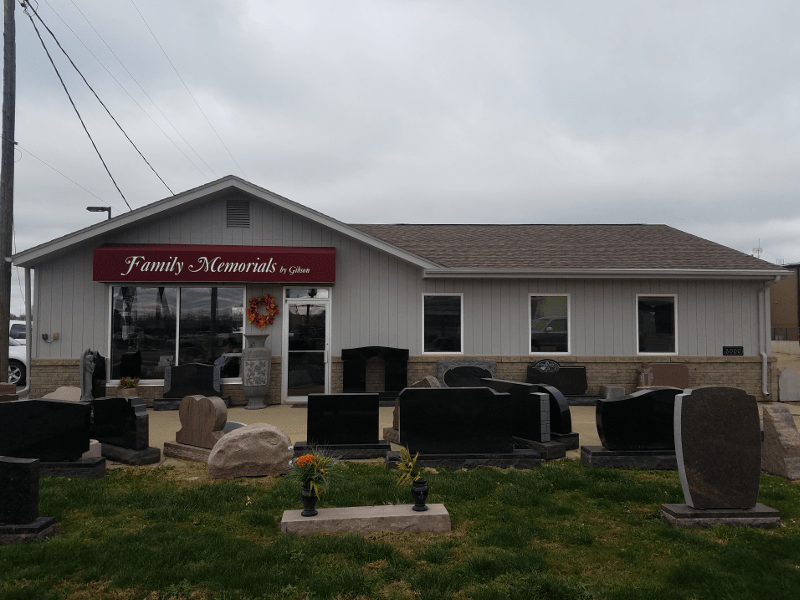 In addition to memorial stones, we have grown to offer a variety of other products and services as well, from carved decorative landscape stones, to fieldstone carving, granite benches, granite signage, public and war memorials, carved house numbers, engraved bricks and pavers, carved or laser-etched award plaques, and more. As a family business, we also highly value our role in our community and make every effort to be a positive force in every community we work in. We regularly contribute to Feeding South Dakota, the Brandon Food Pantry, senior citizen programs, and many other fundraising and sponsorship activities throughout the state by donating products and services to be raffled off. We are actively involved in the Chamber of Commerce organizations in Sioux Falls, Watertown, Pierre, Chamberlain, and Yankton. We also support our local police and firefighters and actually are a second job to several Sioux Falls firefighters during our busy summer months! We have experienced great success as a company over the past few decades, but our number one priority remains to provide an excellent product and personalized, compassionate service to every family that walks through one of our doors. It is our mission and duty to work with people as they are making their way through some of the hardest times of their lives, and this is not a responsibility we take lightly. Over the years, we’ve come to learn that seeing our beautifully hand-crafted memorial stone on a loved one’s grave provides an unexpected level of comfort and closure for families working through the grieving process. It is our honor to be able to play this role in the lives of our customers, friends, and family. When the time comes, we hope you can trust us to play this role in your life as well.